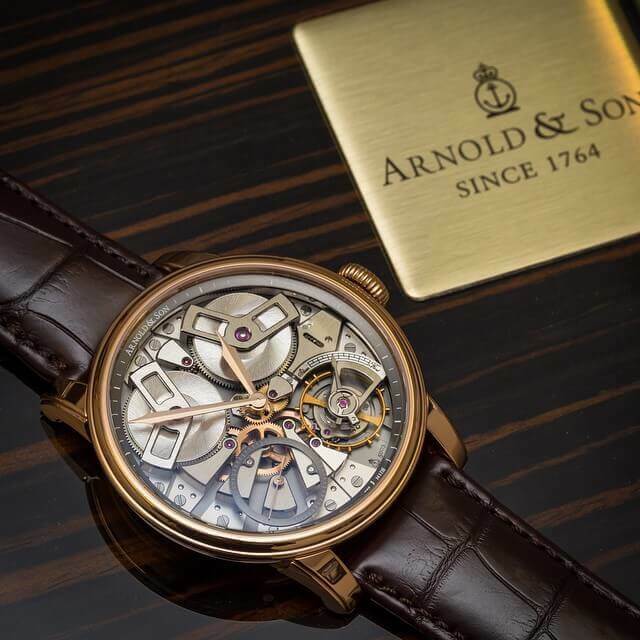 For those who love mechanical watches, the Arnold & Son TB88 is a dream come true. With an “inverted” movement, you don’t have to flip the watch over in order to admire the balance wheel at work! Also, the watch features a ‘True Beat’ complication,which moves the second hand much like a quartz movement, jumping at each second instead of a smooth sweeping movement. The twin barrels also store an impressive 100 hours of power reserve. At 46 mm, this Swiss-made rose gold beauty certainly stands out and is one of the more interesting designs in the watch industry. Want: For its beautiful dial/movement and design!